In our first year in division 1, the Aberdeen Aqua Addicts received 5th place in the 2015 Midwest Regional Tournament and won the box score for highest jump act. In team jump competition, we took second place. Finally, we are proud to announce in the individual jump competition, Sean Hyatt got first place and Noah Leach got second place. 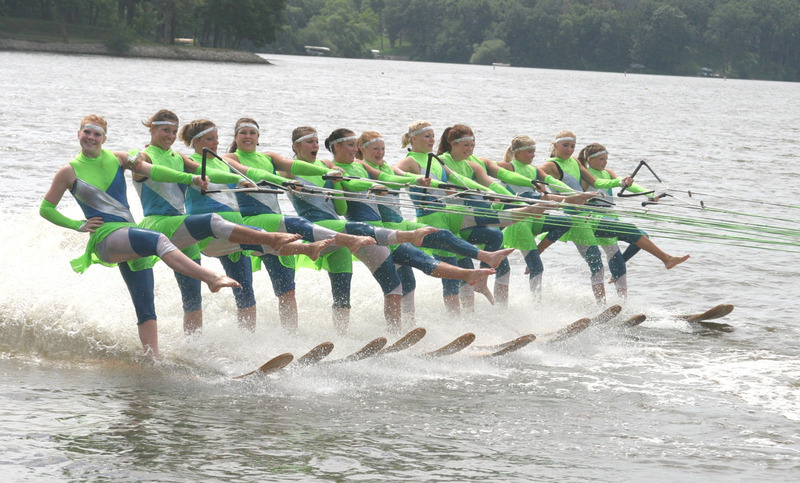 They will represent the Aqua Addicts in the 2015 Division 1 National Show Ski Championship Individual Jump Competition. On top of that, Noah Leach was selected as the 2015 Midwest Regional Most Valuable Male Skier! If you would like to still see the award winning Aberdeen Aqua Addicts, our last three shows will be: August 6th, 20th, and 22nd at Dahme Lake at 7pm. Thank you everyone for your continuous support!